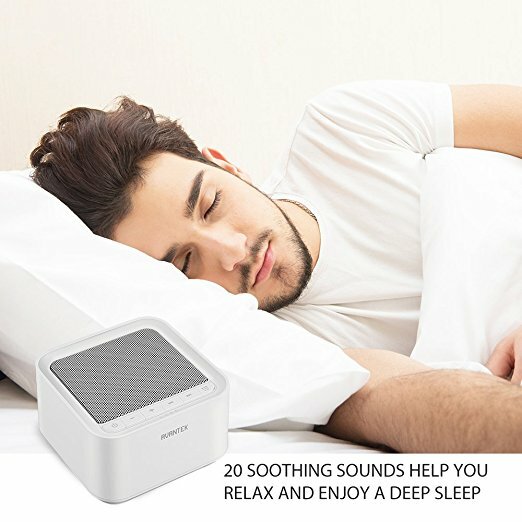 This sleep machine comes with a timer that has the capacity to work for seven hours straight on a continuous basis which means you can set it to fade away completely as you fall deeply asleep. 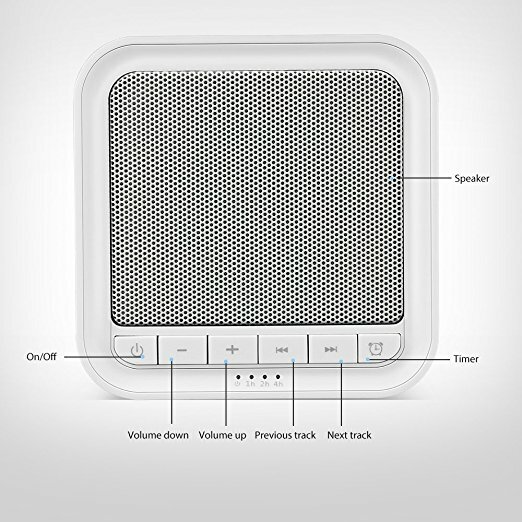 You have the option to choose from 20 different profiles that you can adjust by up to 30 volume settings. 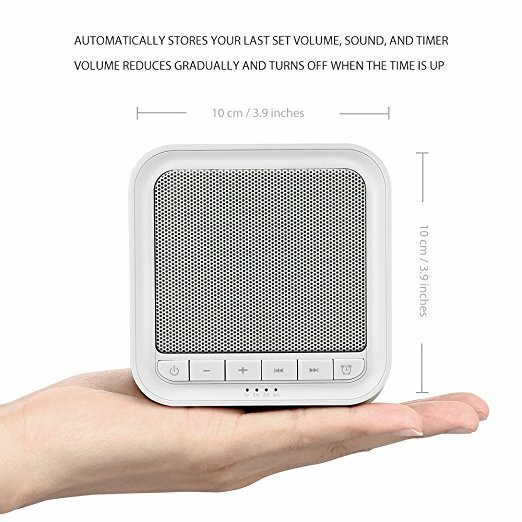 The good thing is that you don't need to set its volume all the time you are using it since it comes with a memory function that stores your favorite volume settings. However, it does not come with an audio connector and you have to cycle through the different sound profiles before you can get you the one that you prefer to work with. 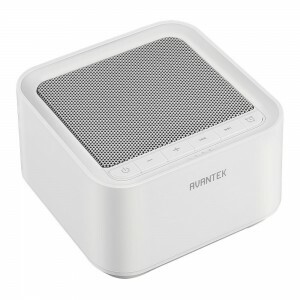 It comes in very small dimensions which means it can be your ideal white noise travel machine. 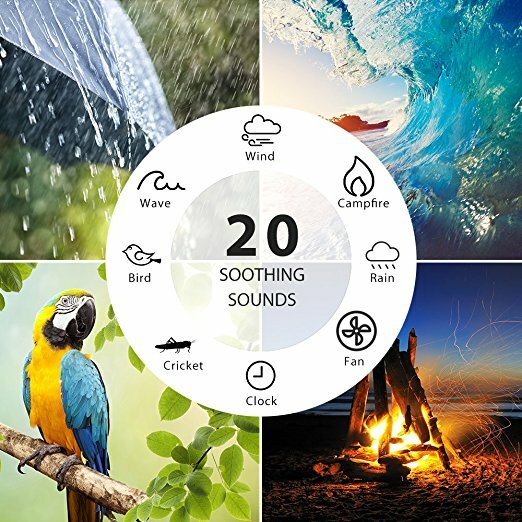 You get to choose from 20 different sound profiles that can help you to counter noise in different environments for deep smooth sleep. It saves your last volume settings in memory such that you don't need to reset the volume every time you are using it. 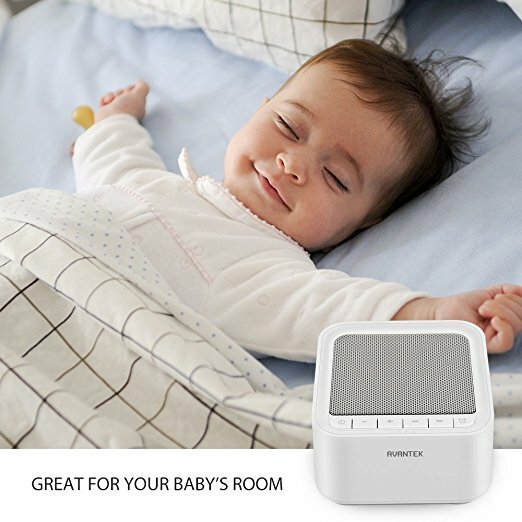 You will love that its timer has the capacity to work on a continuous basis for up to seven hours. 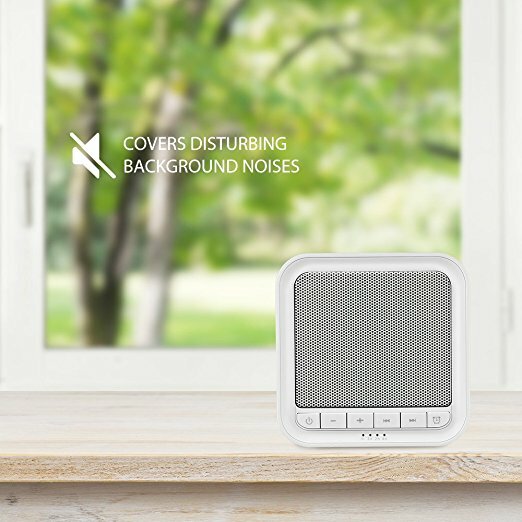 It comes with 30 different volume levels that you can use to counter noise in different situations. You can sleep safely without distractions since its LED lights on the control panel are not that bright. It does not come with an audio connector. You have to cycle through the different sound different profiles for you to get to the one you want.